According to the Health and Safety Executive (HSE), falls from height remain one of the most common causes of fatality and major injury in the UK, with falls through fragile surfaces accounting for 22% of all accidents from height in the construction industry. The 2016/2017 provisional figures report that there were 25 fatalities as a result of falls from height at work. 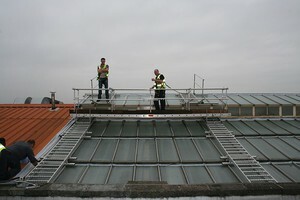 The key piece of legislation is the Work at Height Regulations 2005, as amended by the Work at Height (Amendment) Regulations 2007, which places a legal requirement for anyone who contracts others to access and maintain rooftop equipment on public buildings and housing developments to ensure proper safety precautions are in place. Breaching these regulations can result in a legal prosecution and either a substantial fine or possible imprisonment. In November 2017, a Dudley-based contractor was fined and sentenced to 180 hours community service and given a six-month prison sentence suspended for 12 months after a 30-year old labourer fell more than six metres through a fragile roof. The man suffered numerous fractures to his spine, pelvis and shoulder, and will now never work as a roofer again. The HSE investigation found that the contractor failed to address the risk of working at height and on fragile surfaces before undertaking this roofing work. He also failed to ensure that fellow workers had the adequate support to complete this work and this resulted in it being carried out in an unsafe manner. 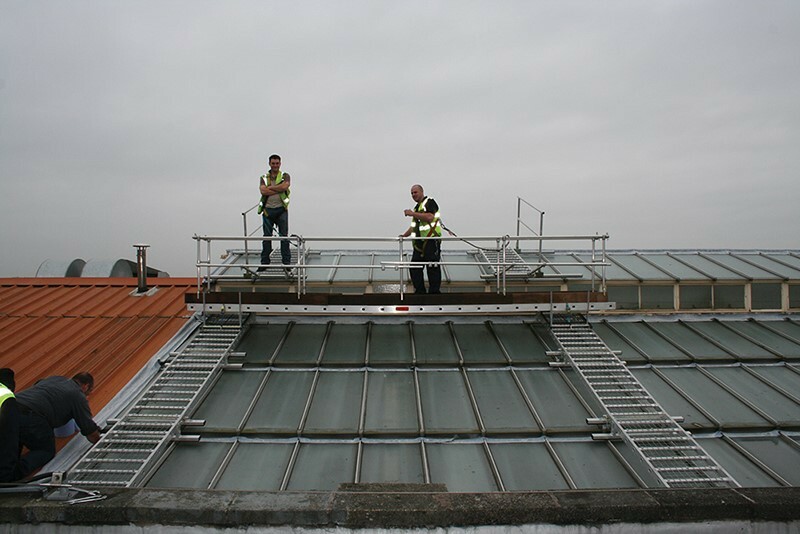 Access to roof tops requires solutions that are designed to overcome the challenges of working on fragile roofs and provide the user with a safe working position for skin maintenance, inspection, cleaning and re-sealing work. It is essential that all work at height is properly planned and carried out by competent members of staff to ensure that minimal accidents occur. Selecting the right equipment is key to reducing the risk of accidents and falls from height. It needs to be secure, easy to access and meet required regulations. Any of these three types of access systems can be considered when accessing roof tops – mesh walkways, rolling platforms and mobile walking frames. Mesh walkways are a great option when access is needed to run from the eaves to ridge. It provides the benefit of spreading the weight across the support battens, allowing the workers to confidently move along the full length of the system. Opting for a solution that is made from high grade aluminium ensures the structure is robust, lightweight, and easily transportable. A fully guarded rolling platform, which is mounted on twin racks, allows workers to move up and down the roof on a secure and level surface. Requiring no penetration, the structure is easy to assemble and take down, and is possible to transport quickly to other parts of the roof. The platform moves along a linking track which is fitted with safety mesh and battens to provide further support. 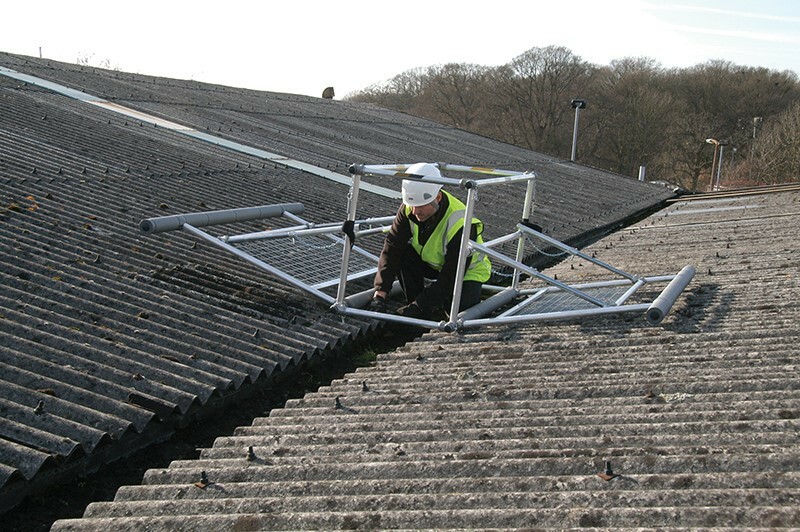 Lightweight mobile walking frames are designed to provide safe access for one or two people when working along valley gutters. The outriggers are filled with safety mesh and cushioned for comfort. This system can also be used to transport light payloads. Suitable for typical symmetrical valleys, the system could also be fully adjustable to suit uneven designs. 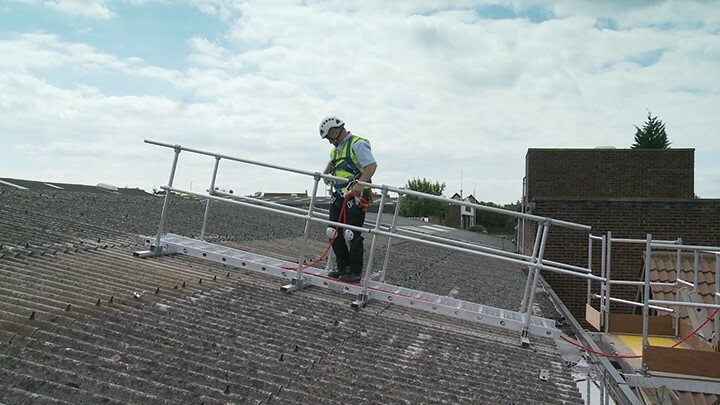 Specifying these types of systems presents health and safety managers with a quicker, more cost-effective and more practical approach to rooftop access, and will ensure that they comply fully with the requirements of the Work at Height Regulations. It’s a win-win for both parties.